Today and tomorrow, Dr. Chris Deibert — a urologist at Nebraska Medicine in Omaha — is performing twice the number of vasectomies he usually does. Deibert’s not the only urologist in America seeing an uptick in vasectomies this March. 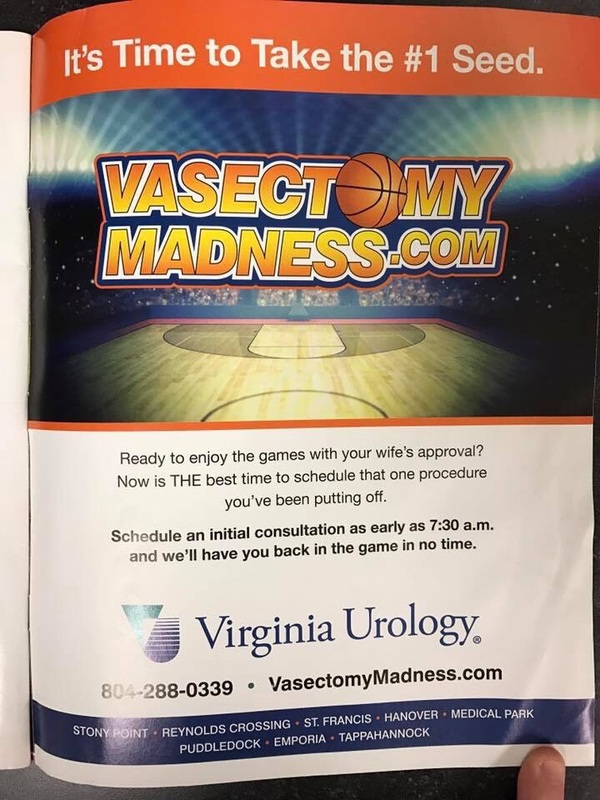 In fact, it’s a widespread rumor that vasectomies surge during this time of year because guys want to get snipped and have an excuse to sit around and watch the beginning of the NCAA March Madness tournament. In Deibert’s case, however, this is the only year he’s actually seen an increase in vasectomies this weekend — and that’s because his clinic ran a specific marketing campaign for it. Deibert explains that guys typically like to get the procedure done on Thursdays and Fridays anyway, so they can relax over the weekend and don’t have to worry about taking time off work. Other than that, he says, it’s not March when his practice sees a yearly uptick in vasectomies. Essentially, it’s become a self-fulfilling prophecy. 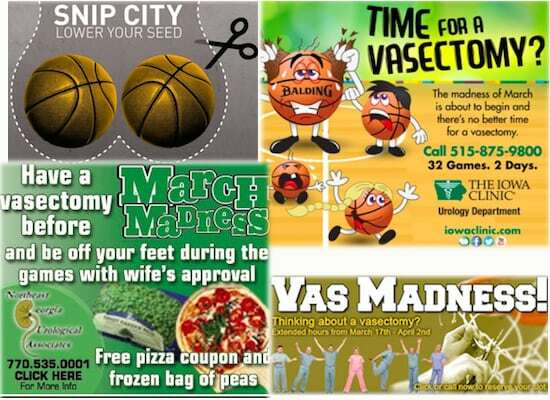 Which came first, guys getting snipped in March, or urologists advertising March as the big time to do it? In other words, is this all a Hallmark Holiday conspiracy, only instead of buying cards, it’s convincing guys that this is the time of year to get vasectomies? Even Buffalo Wild Wings has jumped on the vasectomy hype train with a “Jewel Stool,” to get more sore balls and butts in seats. But that’s not to say urologists are trying to dupe guys into getting vasectomies. Urologists are very careful to ensure everyone involved has thoroughly contemplated how this permanent procedure will impact their lives. Dr. Ted Benderev, a urologist in California who’s performed over 6,000 vasectomies, says guys won’t just walk in and decide to get a vasectomy tomorrow because they’ll get a pizza. Deibert says he hears the same things from his patients. “I think just anecdotally in March, a lot of guys think, Oh well, I might as well do it then because I can hang out and watch the first or second round and be relaxed,” he says. But that’s a line he hears from some, not all patients. So is it actually a thing, so far as cable companies and the NCAA want you to believe men love their televised basketball schedules so much that they unwittingly plan major life decisions around it? No. Is it a thing so far as urologists found a fun narrative to market their services with? Sure. The American Urological Association didn’t respond for comment on whether they have hard data on this trend. However, Dr. Benderev says the one time we know there was an uptick in national vasectomies was during the 2009 financial crisis.